Just when you thought it was safe to go back in the water, Sony Pictures has premiered an all-new trailer for The Shallows, isolating Blake Lively on a far-flung island with only a great white shark for company. Claiming to be “Jaws for the new generation,” orchestrating the maritime thriller from behind the lens is Jaume Collet-Serra, with the shoestring plot casting Lively as Nancy, a talented surfer who, following the recent and sudden death of her mother, plots course for a remote island to shy away from the hustle and bustle and everyday life. But as the overly bland tagline reveals, what was once in the deep is now in The Shallows, and today’s snippet tees up Nancy’s desperate plight for survival after she becomes prey to a marauding great white shark. Indeed, if Jaws was criticized for portraying the predators as mindless killers, then Jaume Collet-Serra’s low-key actioner isn’t going to win over marine biologists anytime soon. 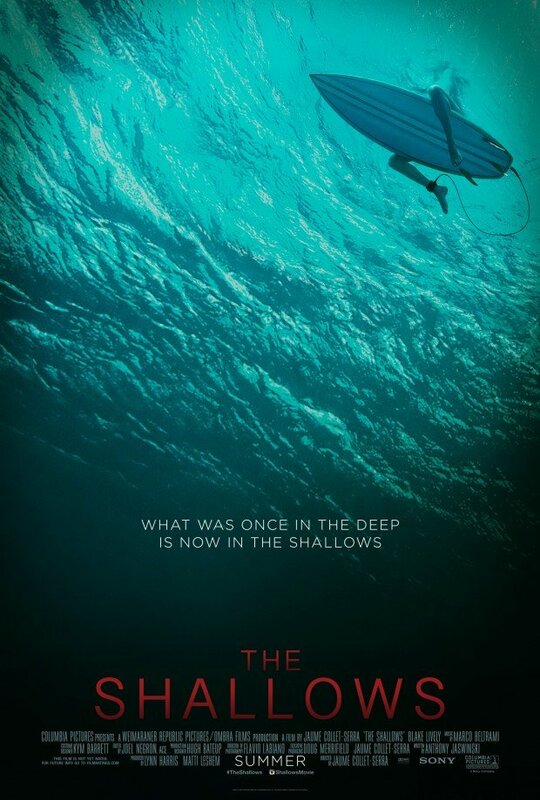 Expect thrills and spills aplenty when The Shallows makes a beeline for theaters on June 24. A UK release is expected to follow in August, just in time for holiday season.